Home>Reviews>Components>How Good is the Intel Core i7 for Gaming? Today we will discuss Intel and their legendary Core series, especially the i7, that has become so popular that it is almost impossible to discuss about computers and not mention it. Intel announced their Intel Core series in 2008 and leading this barrage of CPUs was the Intel Core i7. This CPU had it all and championed everything that Intel and AMD had to offer for the decade to come. It was the best at gaming, the best at professional grade workloads like video editing and 3D modeling, and it was a gateway to enthusiast level of performance at an affordable price. It also made Intel a lot of money. For the long answer and a deeper understanding of how Intel has held the crown of best gaming performance, you will have to read this article thoroughly. Intel had up until 2008 a nice lineup of dual and quad-core CPUs called Core 2 Duo and Core 2 Quad. If you had a PC in the previous decade, it is highly probable that it was either these or AMD Phenom X4/X3s which were comparable and traded blows in performance. Or you were still enjoying your Pentium 4 and if you were like me stuck with Pentium 3s at the school computer labs (yikes!). Intel had made newer Pentium 4 CPUs with Hyper-Threading; a magical technology that made the single-core Pentium 4 CPU act like a dual-core CPU but not up to par in speed with a Core 2 Duo with dedicated 2 cores. Also during this time, DDR3 RAM was announced and this called for newer CPU architectures to incorporate the newer memory kits. Both Intel Core 2 and AMD Phenoms worked with DDR3 with newer motherboards, but they were DDR2 native architectures. Intel at this point basically decided to bring out a big stove and took ingredients from their current lineups and decided to cook up a beautiful new architecture. They took the Hyper-Threading from the Pentium, the quad-core of the Core 2 quad and the new DDR3 memory controller. Thus, the Intel Core i7 was born. The 1st generation Core CPUs were based on the Nehalem microarchitecture. This was designed on the 45 nm lithography on which the last Core 2 Quads were also designed while most of there were primarily on the much larger 65 nm process. Some Nehalem CPUs were also shrunk down to 32 nm which helped to fit even more transistors and CPU cores within the same die size. Intel had to give the Core series a new socket though. The legendary LGA 775 had run for so long, it had DDR, DDR2 and DDR3 RAM support and had been running for almost 4 years and with many chipsets. So in order to satisfy the needs of the new CPUs was the LGA 1156 on the desktop and the LGA 1366 for the HEDT. Combined with a smaller node shrink, 4 cores with 8 threads, faster memory, faster bus speeds, and improved single-threaded performance helped push the i7’s multi-threaded performance significantly. Even though most games relied on single-threaded performance, that doesn’t mean that the i7 was only marginally better. It had significantly better performance in games and heavy multi-threaded workloads. All of this at a price similar to the Core 2 Quad made the i7 so appealing to everyone. The first generation Core i7s also helped usher in the era of proper quad cores on the mobile platform. Laptops had suffered performance because it was near impossible to get a quad core with low power consumption. We did have Core 2 Quads on mobile workstations, but they were incredibly hot and power hungry. AMD did not have a proper answer to the 1st generation Core CPUs as they were still busy designing a new architecture. Their current CPUs were still a good option for consumers in contrast to the Core i3, i5, and i7s. However, they were not ready for what was to come in the form of the Sandy Bridge micro-architecture – a major blow that made it difficult for AMD to recover from for almost 7 years. Intel’s 2nd generation micro-architecture was shrunk down to 32 nm across the entire lineup. Sandy bridge was a major update and took full advantage of the 32 nm node. They introduced a better iGPU, full support for DDR3 up to 1600 MHz, improved IPC(up to 15% clock for clock). However, the main thing that killed AMD off for a long time was Sandy Bridge’s incredible overclocking capability. You could easily overclock i5 2500K or i7 2600K to almost 4.9 GHz on air easily and the processor still stayed relatively cooler than AMD’s infamous FX CPUs (mainly the FX 8150). With significantly better IPC, incredible overclockability and the fact that games had before always, and to some degree even to this day, been single thread performance dependent applications. And since Intel had the upper hand in terms of speed, they kept on winning performance benchmarks. Sandy Bridge was shrunk to 22 nm and included many new features including native USB 3.0 support and PCIe 3.0 support and released in 2012 by the name of Ivy Bridge which was led by the i7 3770K on the same LGA 1155 socket. Intel improved the architecture and released Haswell in 2013 with the lead of the i7 4770K. At this stage, the i7 brand had embedded into the minds of the consumer. People loved this CPU lineup and it is still a very capable architecture. 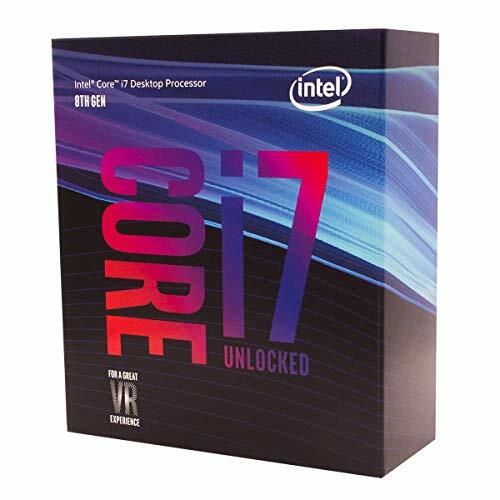 Intel also used this brand on the HEDT(High-End Desktop) platform in the form of Sandy Bridge-E, Ivy Bridge-E, Haswell-E, Skylake-X, Kaby Lake-X, Cascade Lake with CPUs named i7. Some of these range from 4 to 8 cores all Hyper-Threaded. This eventually led to the name of i7 losing its value somewhat and put the consumer in confusion. In order to know what i7 is best for you, you need to do some significant research. But one thing is for sure, the i7 brand still stands for performance and speed and that is a guarantee that Intel has kept. You can at the very least be certain that an i7 will not be a slouch. So if I am saying that the i7 has lost its meaning, how so? In order to explain it properly, I will need to explain more here that will eventually lead to clearing up any misconceptions. I will also be guiding you in the future on how to read specs and identify what Core i7 is best for you. The Core i7 brand was always the top of the line CPU for desktops. In laptops, due to their thin nature, need to be equipped with low power parts. All the way from 1st to the 7th generation, you can predict with somewhat certainty that the CPU is going to have 2 cores with 4 threads whether it be a Core i3, i5 or i7. So it didn’t matter what you buy. Processor SKUs with Q in them for e.g. Core i7 2670QM, indicate that this is a quad-core CPU for the mobile platform. A good rule of thumb would be that the i7 on the desktop is a quad-core Hyper-threaded CPU with 4 physical cores and 8 threads. This only works from Core i7 860 and family till Core i7 7700 and family. Each generation offering about 5 to 15% jump in performance clock for clock. The i7 8700/8700K has 6 cores and 12 threads while the i7 9700/9700K has 8 cores and 8 threads and is also the only i7 in history without Hyper-Threading. To wrap things up, here are some benchmarks that compare the top desktop i7s from each generation to give you an idea. If you asked me which of these to buy, then I would recommend on buying as newer of an architecture as possible. Just 4 cores are getting obsolete as games start taking advantage of more cores and graphics API like Vulkan and DirectX 12 scale application loads across multiple threads. Games have always been in the past GPU bound. No matter how good of a CPU you got, it didn’t do diddly if you didn’t pair it with a strong GPU. Thus even now, at high settings and with extremely powerful GPUs, most games hit the limit of how much they can utilize the CPU while GPU usage hits 100%. That being said, having better IPC, newer and faster memory, faster clock speeds and improvements in architecture designs improve gaming performance. Games moving forward are getting better at utilizing the CPU and spreading their workloads across multiple threads and cores. That is why the i7 8700K is now a 6 core part and the i7 9700K is an 8 core part rather than being 4 cores with 8 threads up until the i7 7700K. Physical cores are the ultimate definers of performance. All of these tests were performed on the GTX 1080 Ti at the time which even to this day is one of the fastest GPUs that you can buy. If you do not care about anything other than gaming and you only require a good CPU for gaming, then I highly suggest you get yourself an 8th generation i5. You will see in the benchmarks that the i5 7600K is suffering because it only has 4 cores without Hyper-threading. This means that as newer games are getting good at utilizing the CPU, quad cores will now become nothing more than a bare minimum. You can watch more videos from Hardware Unboxed, LinusTechTips, Gamers Nexus or Digital Foundry as these are some of the most reputable and trusted sources for benchmarking hardware. The reason why we have more cores on the 8700K and 9700K is because of Intel finally realizing that games need more cores and that AMD had started filling this void with the introduction of Ryzen. Also, game consoles like PS4 and Xbox One have x86 chips with 8 cores in them which is almost identical to the architecture on normal computers. The trend for the future is that we will have games stuttering if they don’t have good CPUs with good IPC, clock speeds and cores to scale their assets on to. Assessing what CPU is right for you can be a long and tedious task simply because there are so many options and different applications react to different needs. Some games might be light on the CPU but very demanding of the GPU for e.g The Witcher 3; vice versa, Assassin’s Creed games have almost always been a pain to the CPU. As you increase resolution and graphical settings, you hit the limit of the GPU. So it might look like there is no good reason to go from a 2600K to the 8700K. However, the 8700K not only has plenty of room for performance to spare, but it is also capable of letting the GPU utilize its maximum potential. The 2600K at this point is basically hitting its absolute limit and not letting the GPU perform. Also, the statement against the i5 7600K can be seen here. The 6 core non-overclockable i5 8400 has plenty of performance room while the 4 core i5 7600K is being pegged at 100%. Time for the quad cores is ending. Even phones have 8 cores now and applications are more multi-threaded than ever. For the absolute gamer uninterested in anything, you can not go wrong with a good i5. Problem is that due to Intel’s price gouging, it has lost value advantage over the i7. 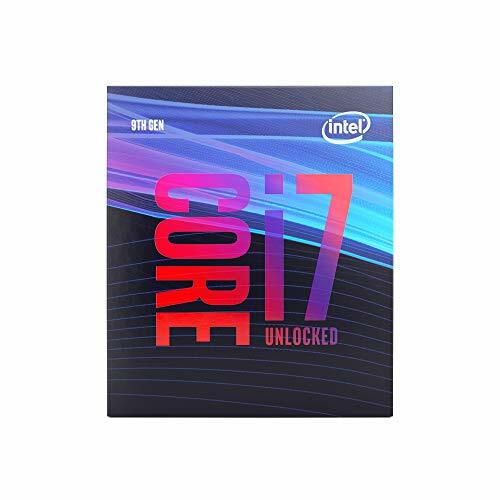 So my recommendations are the i7 8700K and i7 9700K. Both these CPUs use similar motherboards and ideally, you should pair them with a solid Z370 motherboard. You could also consider the non-K versions of these chips if you don’t wish to overclock them. 2 fewer cores, slightly lesser performance but still with Hyper-Threading to compensate for it, you should consider the Core i7 8700K. Intel understood the impact that the i7 brand has and even to this day they understand its importance. Any i7 based machine will be fast in terms of processing power, but how good is highly objective and needs some referencing. Not all i7s are made equal. There is no “an i7”. Just having i7 doesn’t make your computer magically faster, but it does indicate that its no sloth either.